Aizawl ( ; [ˈʌɪ̯.ˈzɔːl]) is the capital of the state of Mizoram in India. With a population of 293,416, it is the largest city in the state. It is also the centre of administration containing all the important government offices, state assembly house and civil secretariat. The population of Aizawl strongly reflects the different communities of the ethnic Mizo people. The Aizawl Municipal Council is the authority of civic administration of Aizawl city. It was formed in 2010 with 19 Members when the Congress-ZNP party coalition was voted to power in the state legisative assembly. The AMC office is being administered by one council Chairman, Vice-Chairman and three executive members. It consists of 19 elected members representing 19 wards of the city and others appointed by the Governor of Mizoram. One-third of the total membership is reserved for women, these six seats shall be rotated after every five years. The tenure of the council is five years. There is a Ward Committee in every ward that consists of a Chairman, who is an elected councillor from that ward, and two members each from all the local council within the ward. There are 78 local councils having a term of 5 years. 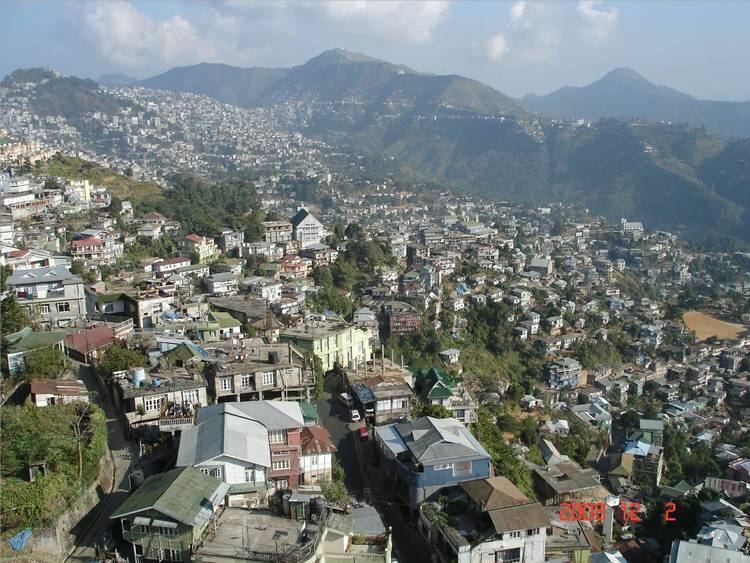 As of 2011 India census, Aizawl had a population of 293,416. Females constitute 50.61% of the population and males made up the remaining 49.39%. Mizos from various tribes make up the majority of the population. Christianity is the dominant religion in the city and is practised by 90% of the city population. Other religions include Buddhism 7% , Hinduism 2% and Islam 1%. Aizawl is connected by air transport through Lengpui Airport which it is situated near Aizawl. 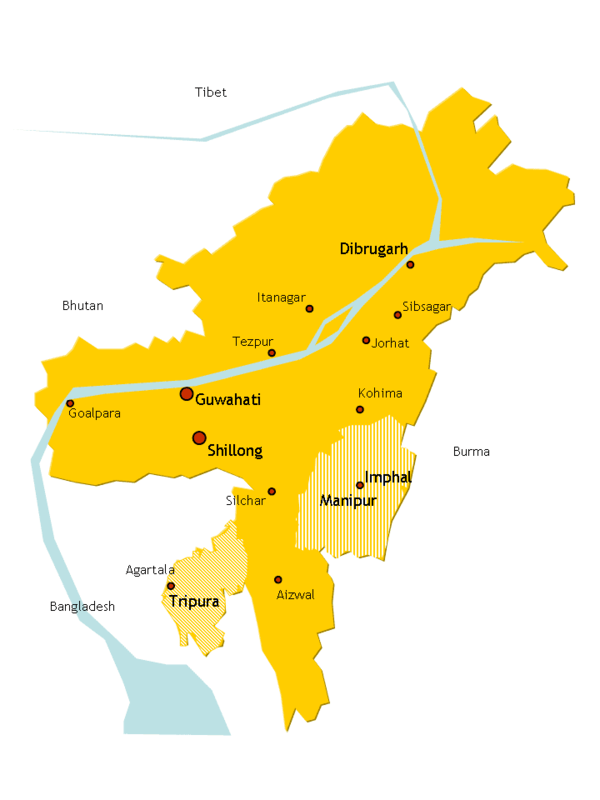 The airport provides connectivity to Kolkata Netaji Subhash Chandra Bose International Airport, Guwahati Lokpriya Gopinath Bordoloi International Airport, Shillong Airport and Imphal Imphal International Airport. Air India, Jet Airways and SpiceJet are the three regular airlines which operate flights to and from Lengpui Airport. A helicopter service by Pawan Hans was started in 2012 and connects the city with Lunglei, Lawngtlai, Saiha, Chawngte, Serchhip, Champhai, Kolasib, Khawzawl, Ngopa and Hnahthial. Mizoram is connected by railroad up to Bairabi, there are plans to connect Bairabi with Sairang with broad gauge railway track, near Aizawl. The government is now planning to start a broad gauge Bairabi Sairang Railway connection for better connectivity in the state. There is also the plan for 5 km long Aizawl Monorail running between Zemabawk to Kulikawn. Bara Bazar is the main shopping centre of Aizawl in Dawrpui Veng locality. The steep Zion Street is lined with stalls selling garments. The main bazar is where the people are best seen in their traditional costumes selling produce from the farms as well as imports from China brought through Myanmar border area. The Millennium Centre in the same locality is a popular shopping Mall. Mizoram State Museum is located in the centre of the town at Zarkawt. This museum gives a good insight into Mizo traditions, culture and history. Reiek Tourist Resort a tourist spot 12 km from Aizawl, is a beautiful place at an elevation of 1548 metres with a traditional Mizo Village. Durtlang Hills situated on the northern side of Aizawl offers a fine view of the hill station from either Durtlang Hospital or Aizawl Theological College. Berawtlang Tourist Complex situated 7 km from Aizawl is a recreational centre that hosts cultural activities. It is also considered a popular picnic spot. Baktawng Village 70 km from Aizawl is the place where Pu Ziona lives with the "worlds largest existing family" with 39 wives, 94 children, 14 daughters-in-law and 33 grandchildren. Solomon's Temple, Aizawl Mizoram, India located in Kidron Valley, Chawlhhmun is a grand temple complex operated by Kohhran Thianghlim of Mizoram. Pachhunga University College was among the earliest colleges founded in 1958. Aizawl College, the second oldest college in Aizawl City was established in the year 1975. Govt. Hrangbana College was established in 1980, located in Chanmari, Aizawl with Pu Lalrinawma as the Principal, it has 57 teaching staffs with 22 non - teaching Staffs and more than 2000 students in Commerce and Arts Departments. Mizoram University established in 2001 provides affiliation to all the Colleges in Mizoram. Mizoram University also provides post - graduate education as well as B.Tech education and other departments. ICFAI University located in Durtlang, Aizawl West College, Govt. Aizawl North College, Govt. J. Thankima College also provides Under Graduate courses. Mizoram Law College provides education to people who seek profession in Law. Indian Institute of Mass Communication and National Institute of Technology Mizoram has already started operations. Plans are being made to start a medical college in Falkawn.